With Facebook Moments, an app store downloads the time being, only available in the USA, in the coming weeks, but should be available in other countries, the social network Facebook now offers as a central repository for party, holiday and excursion photos. 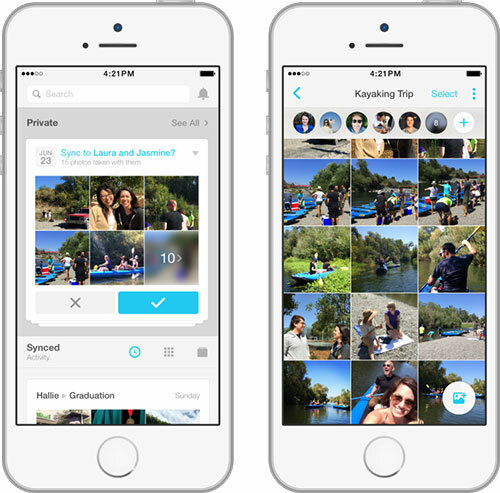 The app relies on a principle similar to Apple’s shared photo streams and combines the images of selected groups in a joint photo album that can be synchronized with your own device. Are you a friends of Sunday excursion part of your moment-group the app sorts all photos for the user by faces, recording times and places and then creates photo albums that summarize Community “moments”. Basically, the moments are to be marked as “private” at time and only be visible to invited users, but the app provides an option to share the best pictures on Facebook (of course) and Co. too. Moments is available not only for the iPhone but also as an Android version and so should cover most of your peer group. Instead of asking your friends about the photos of the last party, you have to take care now, that your Facebook buddies install the Moments App. A difficult task. Exactly when the app will be available in other countries is not yet known. Facebook currently speaks of a rollout “overtime”. Be the first to comment on "Facebook Moments"